Easy-to-use appliances for fast, fun sandwiches and more. 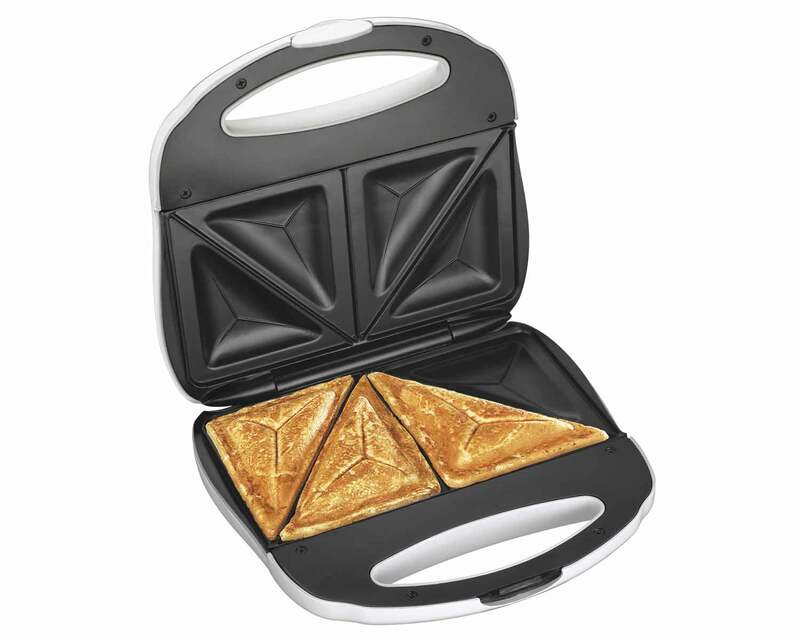 Proctor Silex® Sandwich Makers are the fast, easy way to make hot sandwiches, omelets, French toast, and other desserts. These versatile appliances are perfect for compact spaces, or as a handy stand-in for a conventional stovetop. Proctor Silex® Sandwich Makers are simple to use and easy to clean for added convenience. Indicator lights let you know when the power is on and it's ready to cook, and the nonstick grids wipe clean easily. For space-saving storage, lock the handle and store this compact appliance upright in any cabinet. Put away your frying pan and make a hot sandwich the easy way with a Proctor Silex® Sandwich Maker.